Red Jasper Reiki Master Hearts Pendants Set comes with a pouch. 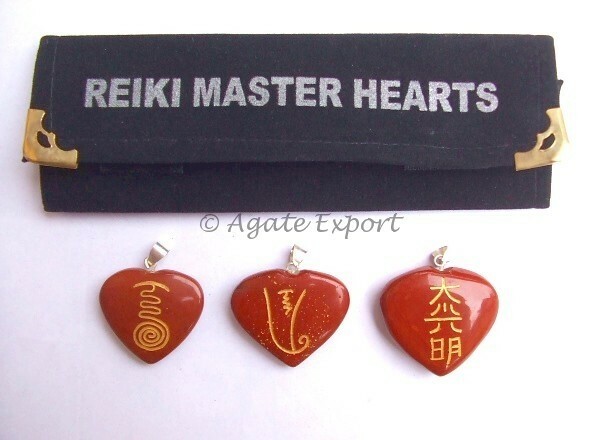 Master reiki symbol reminds the user that reiki is a kind action and so it needs to be performed with love. It is available on Agate Export.